Lakmini Wijesundara, Co-founder and CEO of IronOne Technologies and BoardPAC in Sri Lanka, was chosen as the SAARC Woman Entrepreneur for the Year 2018, from a pool of exemplary women entrepreneurs in the South Asian region at a glittering ceremony recently. Aspiring to create strong role models in South Asia with the belief that every woman has the ability to lead and create a positive change, the SAARC Chamber Women Entrepreneur Council (SCWEC) held its inaugural SAARC Woman Entrepreneur Awards ceremony in Colombo this March, identifying women trail blazers from a diverse and vibrant range of fields and businesses. “Recognizing exemplary women and their achievements creates role models and with it a unique opportunity for other women to aspire to aim higher in their enterprises and professions. Through shining the spot light on the achievements of these women who have forged a successful path in their respective countries amidst hardships and families, we hope to inspire future generations of women create growth and opportunities for themselves and others in the South Asian region,” SCWEC Chairperson Rifa Musthapha said. The nominees from diverse business backgrounds including ICT, social activists and entrepreneurs, designers and hair and makeup stylists who have created empires with their talents, were then reviewed by an independent panel of judges from non- SAARC countries, following the eligibility and criteria developed by KPMG Sri Lanka, knowledge partner of the awards. An outstanding woman entrepreneur was nominated from each of the SAARC nations for the prestigious title of ‘SAARC Woman Entrepreneur of the year 2018’. 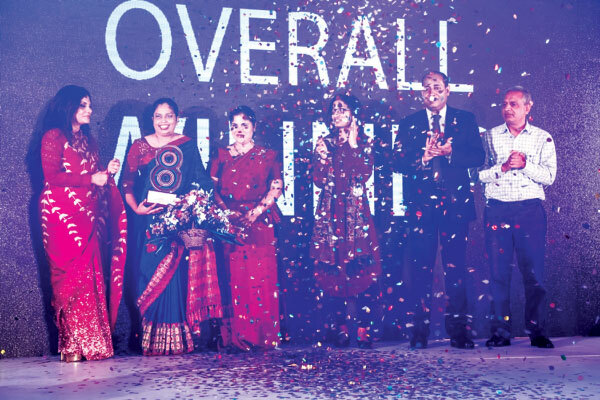 Women business leaders from the SAARC region gathered in Colombo for the awards ceremony in addition to participating in knowledge workshops, to collectively find fresher avenues to economic and societal challenges in the region. Lakmini Wijesundara, SAARC Woman Entrepreneur 2018 nominated from Sri Lanka, is a pioneer in the ICT sector. As an entrepreneur, Co-founder and CEO of IronOne Technologies and BoardPAC, Lakmini established entities that operate across 20 countries and successfully partnered with international telecommunication companies such as SingTel from Singapore, Maxis from Malaysi, Robi Axiata from Bangladesh and XL Axiata from Indonesia. Outstanding nominees included globally renowned fashion designer, Hina Mansab Khan from Pakistan who works towards uplifting women at the grass root level through her clothing company Leila Pvt. Ltd, Chogyal Lhamo of Bhutan, a dedicated social entrepreneur whose business of collecting trash in her white pick-up truck is cleaning out the negative impacts of increasing consumerism and garbage, in a country renowned for its negative carbon foot print. Researching and identifying more than 45 varieties of local plant fiber materials suitable for weaving, coiling, and knotting, including water hyacinth, pine needles and cardamom plant, in her home country Nepal, Shyam Badan Shrestha organizes and conducts workshops to empower rural women in more than 20 districts in a bid to achieve their independence.